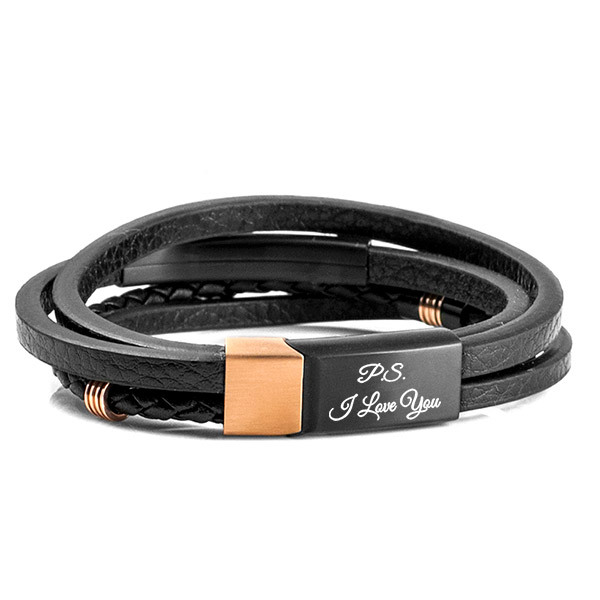 You will love the look of this multi strand leather engravable bracelet for men or women. 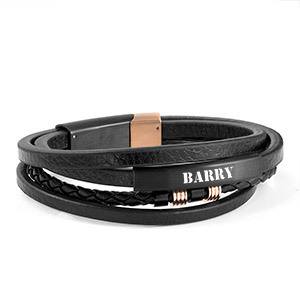 This unique bracelet includes a black plated stainless steel tag on one strand. Another strand includes rose gold plated accents. 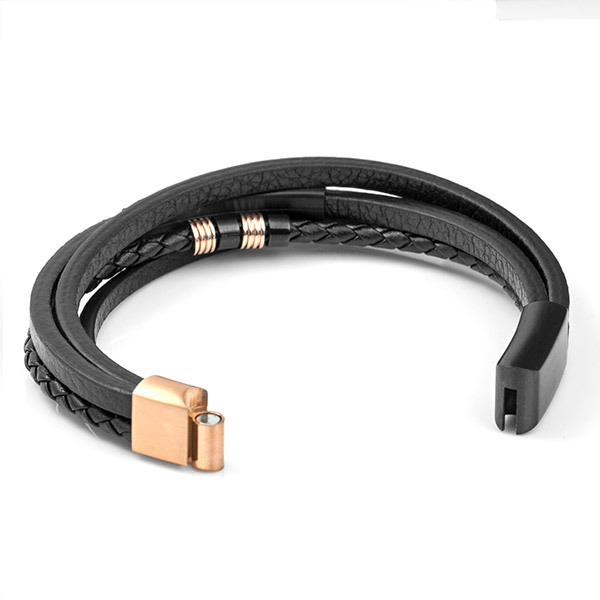 The magnetic clasp is a combination of black rose gold plating. The contrast is striking and very elegant. 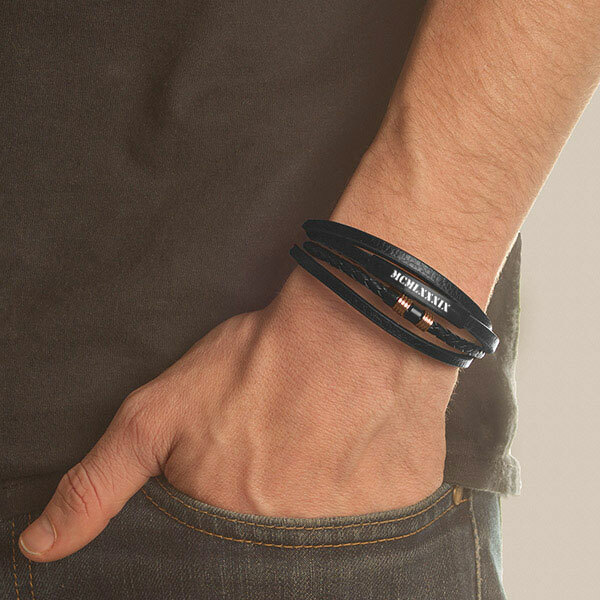 The styling of this custom bracelet shows a stacked appearance that's trendy amongst men and women of many age groups. Engrave the black tag with a name or personalized message to make this a gift to be remembered for many years to come. Engraving is available for the back clasp too!